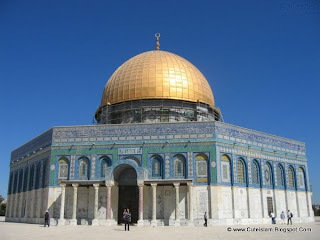 also known as the Temple Mount, the holiest site in Judaism, the place where the First and Second Temples are generally accepted to have stood. 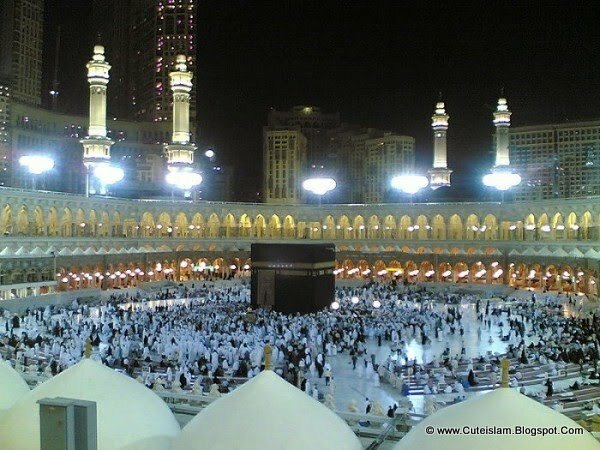 Widely considered as the third holiest site in Islam, Muslims believe that the prophet Muhammad was transported from the Sacred Mosque in Mecca to al-Aqsa during the Night Journey. 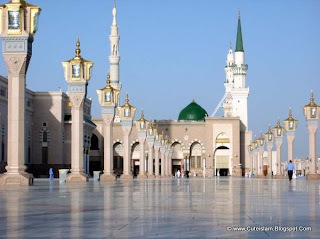 Islamic tradition holds that Muhammad led prayers towards this siteuntil the seventeenth month after the emigration, when God ordered him to turn towards the Kaaba. Al-Aqsa is comes as twentieth largest mosque of the world. name, Masjid. The mosque serves as a place where Muslims can come together for prayer as well as a center for information, education and dispute settlement. 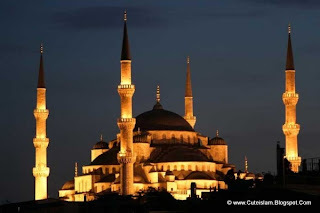 This post features top 20 largest mosques of the world, hope you will like our effort. 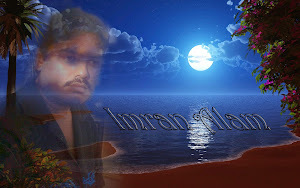 located just off main Korangi Road. Masjid e Tooba is often claimed to be the largest single dome mosque in the world. It is also major tourist attraction in Karachi. 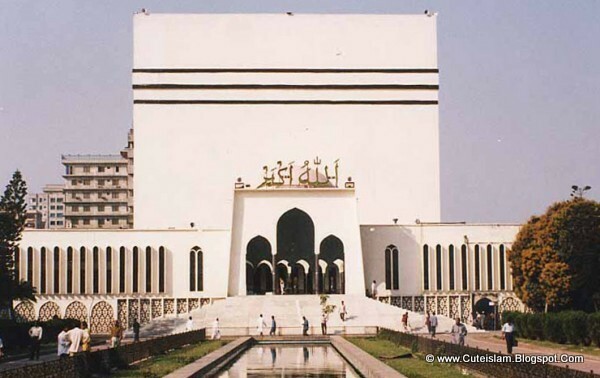 Masjid e Tooba is built with pure white marble. The dome of the Masjid e Tooba is 72 meters (236 feet) in diameter, and is balanced on a low surrounding wall with no central pillars. Masjid e Tooba has a single minaret standing 70 meters high. The central prayer hall has a capacity of 5,000 people. It has been built keeping acoustics in mind. A person speaking inside one end of the dome can be heard at the other end. 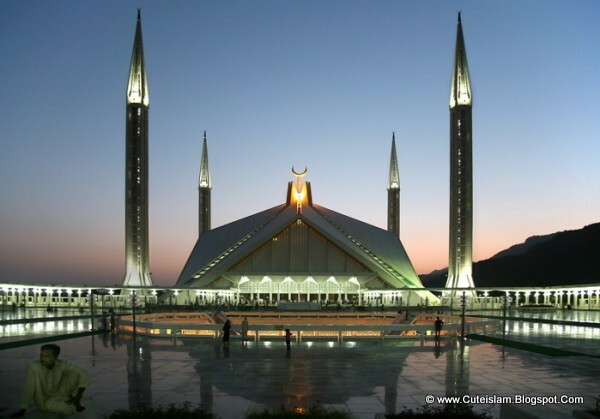 This mosque was designed by Pakistani architect Dr Babar Hamid Chauhan. 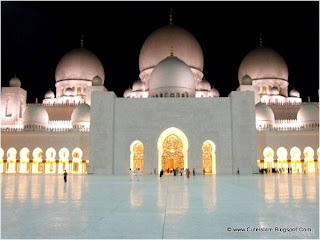 The Al-Fateh Mosque also known as Al-Fateh Islamic Center & Al Fateh Grand Mosque is eighteenth of the largest mosques in the world, capable of accommodating over 7,000 worshippers at a time. 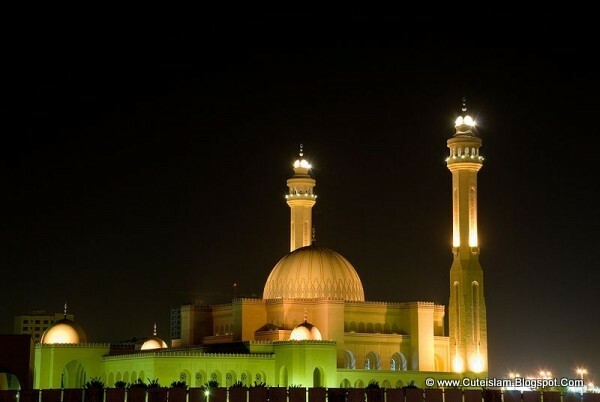 he mosque is the largest place of worship in Bahrain. It is located next to the King Faisal Highway in Juffair, which is a town located in the capital city of Manama. 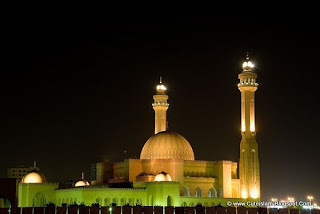 The mosque very close to the Royal Bahraini Palace, the residence of the king of Bahrain Hamad ibn Isa Al Khalifah. 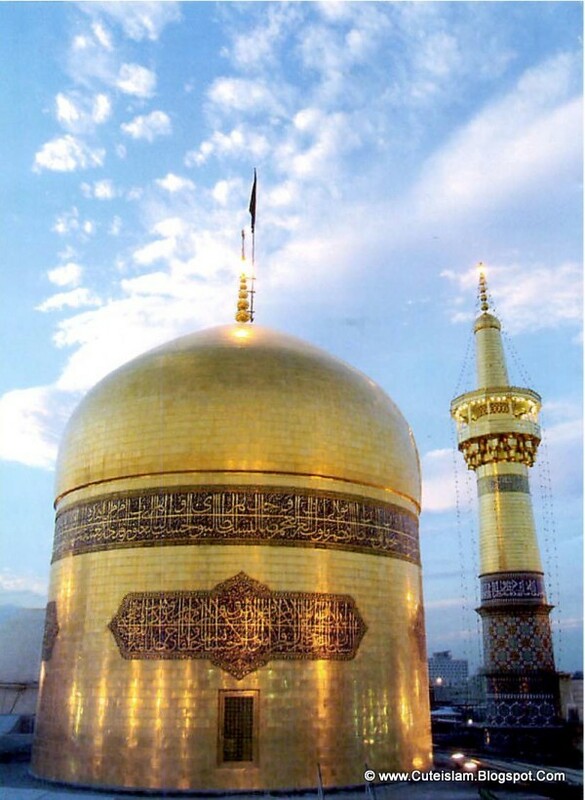 The huge dome built on top of the Al-Fatih Mosque is made of pure fiberglass. interior. It was built between 1609 and 1616, during the rule of Ahmed I. Like many other mosques, it also comprises a tomb of the founder, a madrasah and a hospice. While still used as a mosque, the Sultan Ahmed Mosque has also become a popular tourist attraction. Sultan Ahmed Mosque is known as seventeenth largest mosque in the world. Akhmad Kadyrov Grozny Central Dome Mosque is located in Grozny, the capital of Chechnya, and bears the name of Akhmad Kadyrov. The mosque design is based on the Blue Mosque in Istanbul. 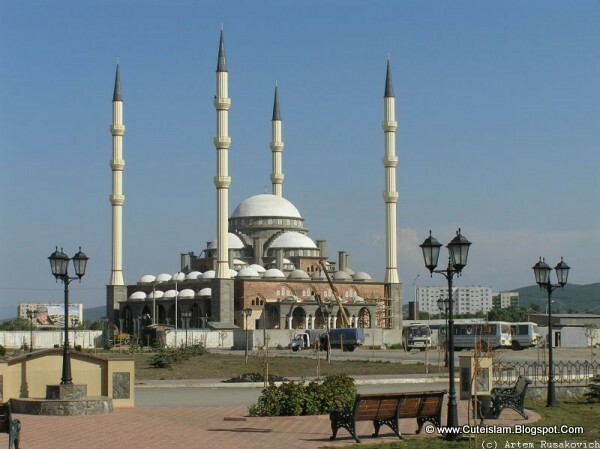 On October 16, 2008, the mosque was officially opened in a ceremony in which Chechen leader Ramzan Kadyrov spoke and was with Russian Prime Minister Vladimir Putin. This mosque is one of the biggest in Europe. In this mosque ten thousand Muslims can pray at a time and its minarets reach 60m high and is sixteenth largest mosque in the world. 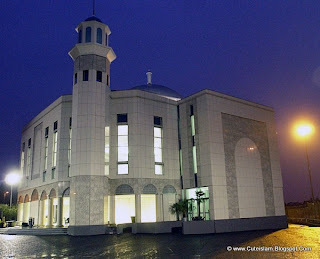 The Baitul Futuh Mosque is the largest mosque in Western Europe and fifteenth largest in the world with an area of 5.2 acres (21,000 m2), the mosque complex can accommodate up to 10,000 worshippers. Built in 2003 at a cost of approximately £5.5 million, entirely from donations of the Ahmadiyya Muslim Community, it is located in the south-west London suburb of Morden, next to Morden South railway station, 150 yards from the Morden Underground. Masjid-e-Aqsa is the greatest mosque of the Ahmadiyya Muslim Community. The foundation stone was laid in 1966 and the buildings inauguration took place on March 31, 1972. 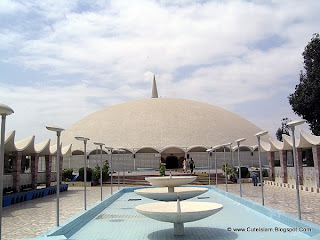 The mosque is the main mosque of the Ahmadiyya in Rabwah for 12,000 worshipers. 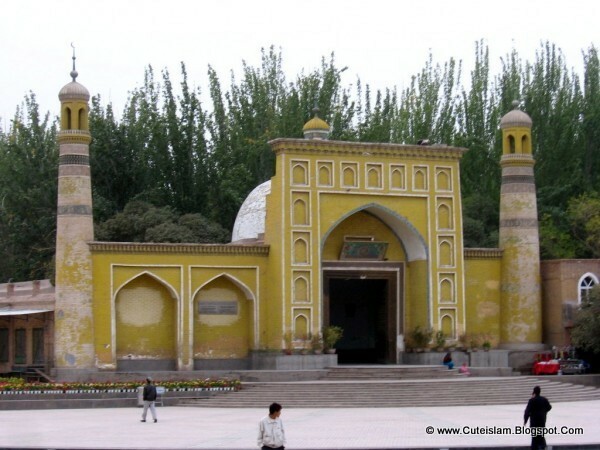 The design came from the mosque, Abdul Rashid, at the request of Mirza Basheer-ud-Din Mahmood Ahmad should occur in one Central Mosque Rabwah. The blueprint was already established during his tenure, but because of the Caliph was not affected, the foundation will be laid. On 28 October 1966 Mirza Nasir Ahmad laid the foundation for the Masjid-e-Aqsa. 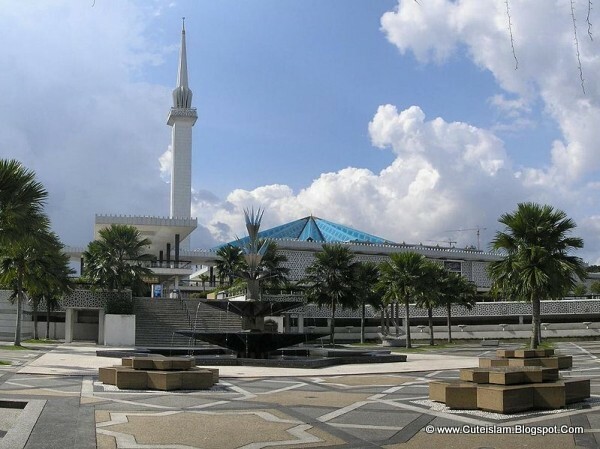 The Friday Sermon the third Caliph 31 The mosque was opened in March 1972. Masjid-e-Aqsa is fourteenth largest mosque in the world. from the Public Works Department “ UK architect Howard Ashley, and Malaysians Hisham Albakri and Baharuddin Kassim. Originally built in 1965, it is a bold and modern approach in reinforced concrete, symbolic of the aspirations of a then newly-independent Malaysia. Its key features are a 73-metre-high minaret and an 18-pointed star concrete main roof. The umbrella, synonymous with the tropics, is featured conspicuously “ the main roof is reminiscent of an open umbrella, the minarets cap a folded one. The folded plates of the concrete main roof is a creative solution to achieving the larger spans required in the main gathering hall. Reflecting pools and fountains spread throughout the compound. 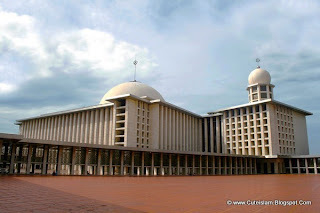 Masjid Negara known as thirteenth largest mosque in the world. (although it incorporated older structures dating back to 996) and covers 16,800 square meters. 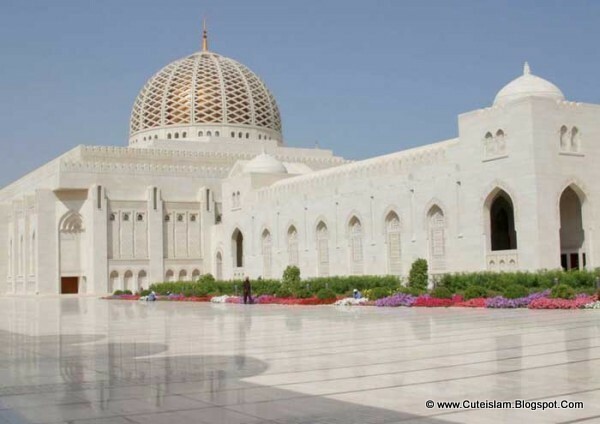 In 1992 Sultan Qaboos directed that his country of Oman should have a Grand Mosque. 300,000 tonnes of Indian sandstone and eleventh largest mosque in the world. 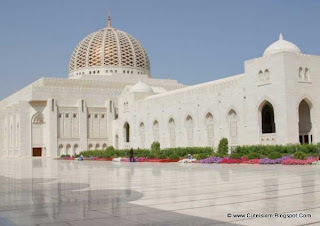 The main musalla (prayer hall) is square (external dimensions 74.4 x 74.4 metres) with a central dome rising to a height of fifty metres above the floor. The dome and the main minaret (90 metres) and four flanking minarets (45.5 metres) are the mosques chief visual features. which has resulted in the Bangladeshi government having to add extensions to the mosque, thus increasing the capacity to at least 40,000. 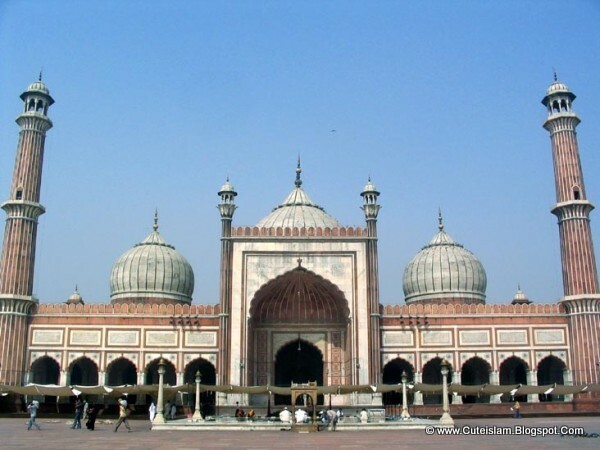 Jama Masjid, commonly known as the Jama Masjid of Delhi, is the principal mosque of Old Delhi in India. Commissioned by the Mughal Emperor Shah Jahan, builder of the Taj Mahal, and completed in the year 1656 AD, it is the largest and best-known mosque in India and ninth largest mosque in the world. It lies at the origin of a very busy central street of Old Delhi, Chandni Chowk. 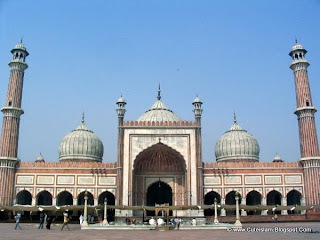 The later name, Jama Masjid, is a reference to the weekly Friday noon congregation prayers of Muslims, Jummah, which are usually done at a mosque, the congregational mosque�. The courtyard of the mosque can hold up to twenty-five thousand worshipers. The Badshahi Mosque or the ˜Emperors Mosque in Lahore is the second largest mosque in Pakistan and South Asia and the seventh largest mosque in the world. Epitomising the beauty, passion and grandeur of the Mughal era, it is Lahores most famous landmark and a major tourist attraction. 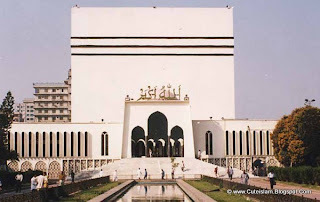 Capable of accommodating 10,000 worshippers in its main prayer hall and a further 100,000 in its courtyard and porticoes, it remained the largest mosque in the world from 1673 to 1986 (a period of 313 years), when overtaken in size by the completion of the Faisal Mosque in Islamabad. 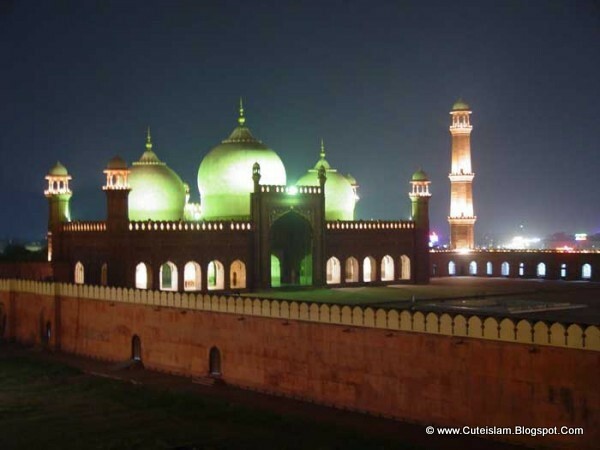 Today, it remains the second largest mosque in Pakistan and South Asia and the fifth largest mosque in the world. 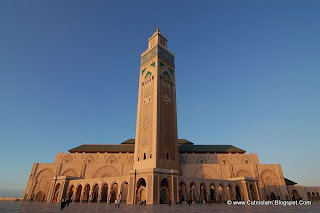 from 1986 to 1993 when overtaken in size by the completion of the Hassan II Mosque in Casablanca, Morocco. 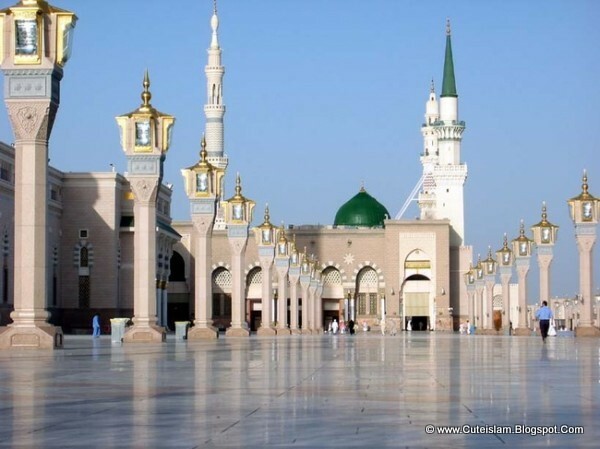 Subsequent expansions of the Masjid al-Haram (Grand Mosque) of Mecca and the Al-Masjid al-Nabawi (Prophets Mosque) in Medina, Saudi Arabia during the 1990s relegated Faisal Mosque to fourth place in terms of size. 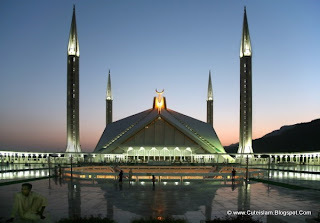 Faisal Mosque is conceived as the National Mosque of Pakistan. It has a covered area of 5,000 m2 (54,000 sq ft) and has a capacity to accommodate approximately 300,000 worshippers (100,000 in its main prayer hall, courtyard and porticoes and another 200,000 in its adjoining grounds). 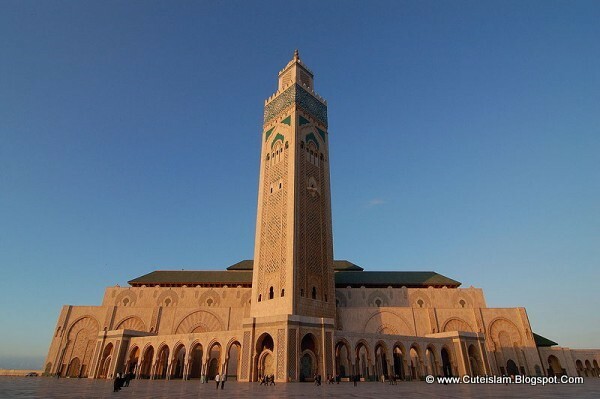 Located in Casablanca is the largest mosque in Morocco and the fifth largest mosque in the world. Designed by the French architect Michel Pinseau and built by Bouygues. It stands on a promontory looking out to the Atlantic, which can be seen through a gigantic glass floor with room for 25,000 worshippers. A further 80,000 can be accommodated in the mosques adjoining grounds for a total of 105,000 worshippers present at any given time at the Hassan II mosque. Its minaret is the worlds tallest at 210 m (689 ft). named Istiqlal, an Arabic word for Independence. the world. Also contained within the complex include: the Goharshad Mosque, a museum, a library, four seminaries, a cemetery, the Razavi University of Islamic Sciences, a dining hall for pilgrims, vast prayer halls, and other buildings. largest mosque in the world. Located in the city of Mecca, it surrounds the Kaaba, the place which Muslims worldwide turn towards while offering daily prayers and is Islams holiest place. The mosque is also known as the Grand Mosque. The current structure covers an area of 4,008,020 square metres (990.40 acres) including the outdoor and indoor praying spaces and can accommodate up to four million Muslim worshippers during the Hajj period, one of the largest annual gatherings of people in the world. amazing so beautiful mashallah, thank you for giving me such beautiful education of my lovely mosques, inshallah i will visit every single one of these mosques in my lifetime but most importantly the hanna kabba, in Mecca.